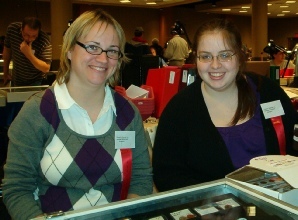 Jennifer Wilhelmsen and Amanda Wrobleski of "Coins & Stamps" worked hard to exceed customer expectations. 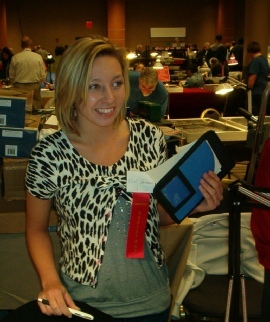 Jessica Fairfield kept the cases in order as customers reduced the available inventory. 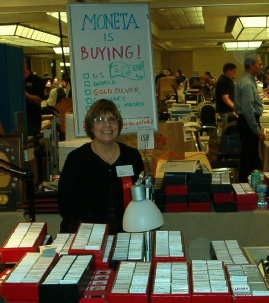 Sheila Dye of Crown Collectibles sells a Large Cent variety to a knowledgeable collector. Dealer Assistant Khali Gesialkowski writes up an invoice. Reenie Hollister of Moneta greeted collectors in the Annex Room near the Exhibits. Patrick Heller and Cliff Mishler wait for the Board meeting to begin. MSNS member dealer Heller presented proposals to arrange for Patriot Act certification training for dealers. ANA President Mishler hosted the Educational Forum Roundtable on Paper Money. 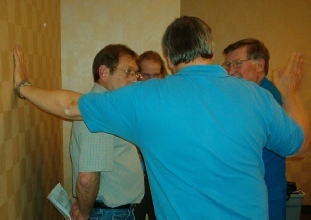 Board members Dan (Mr. Kathy) Freeland and Prof. Karl Mark Pall take care of details before the meeting starts. Board member and member dealer Stephen Friedman addresses on dealer issues. Julie Wostyn coordinate on details. 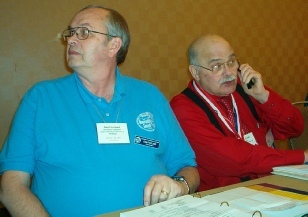 Coordinator Brian Malnar (left) Board member Don Chandler (center) and past president Al Bobrofsky (right) during an adjournment. 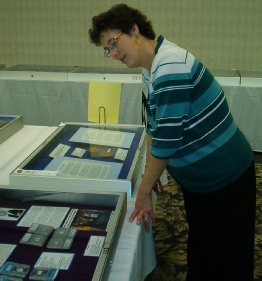 MichTAMS President Kathy Freeland inspects Educational Exhibits to choose the Hartley-Holstein Award. 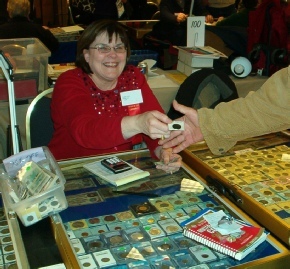 Winners must be members of both the Michigan State Numismatic Society and the Michigan Token and Medal Society. 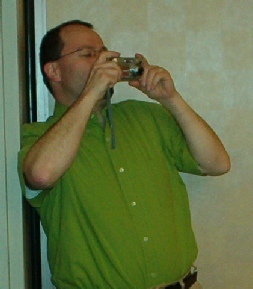 MichMatist editor Michael Strub stands waaaaay back to get his shot. 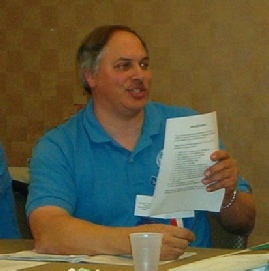 Cointalkers: Frequent posters to the www.cointalk.com discussion board came to the convention. 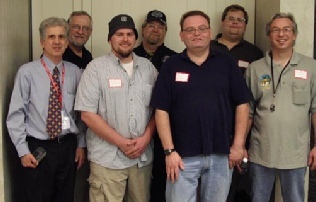 Known to each other by their usernames and avatars, they are (left to right) mmarotta, Penny Guy, The Noost, Jamez, Covert Coins, Borgovan, and Arizona Jack. Jack owns Mesa Coins and flew to Detroit for the show.